In Texas, February is the time to apply a pre-emergent to the lawns. With these warm sunny days, weed seeds and weedy grasses will start to sprout. 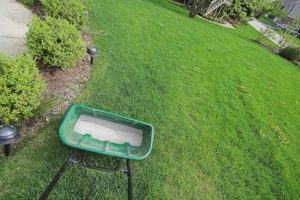 A pre-emergent is an organic or chemical product that when applied to the lawn will help prevent seeds from sprouting. All kinds of seeds from grassy type to broadleaf weeds. Can I use a pre-emergent in my flower beds? This entry was posted on Wednesday, January 16th, 2019 at 1:33 pm	and is filed under Fertilizer, Herbicides, News & Updates, Organic. You can follow any responses to this entry through the RSS 2.0 feed. Both comments and pings are currently closed.